My writing group just finished reading Colm Toibin’s collection, The Empty Family. Although some people in the group loved it, I didn’t. I’ve started giving away the books I know I won’t read again, and this one will be sent on its way–hopefully to a new reader. And all I have in the meantime is this house, this light, this freedom, and I will, if I have the courage, spend my time watching the sea, noting its changes and the sounds it makes, studying the horizon, listening to the wind or relishing the calm when there is no wind. It came to me then that the sea is not a pattern, it is a struggle. I’ve come back to this line several times–the ocean as a struggle. ***Actually, if anyone would like me to send the copy (a hardback with my marginalia in pencil) his or her way, just leave word in the comments before I head to the post office on Monday, and I’ll email for your address. 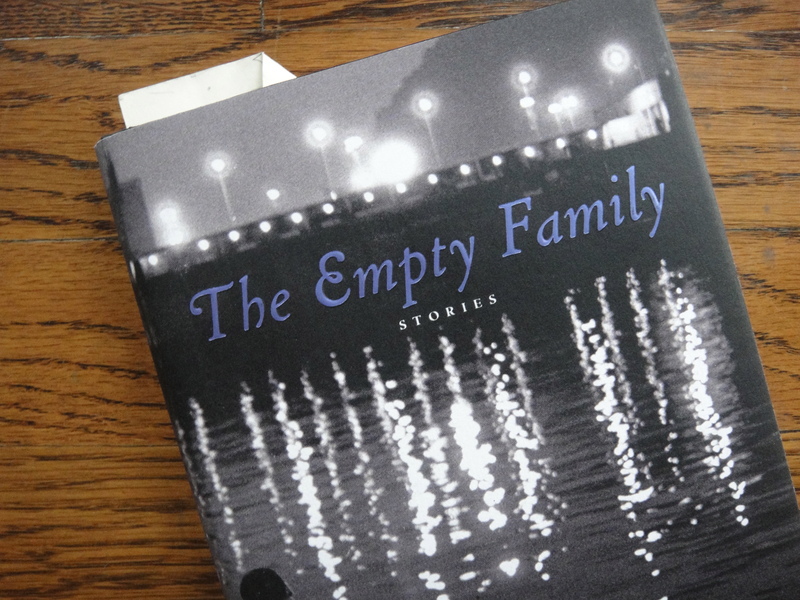 I’d be interested in reading THE EMPTY FAMILY and I’d pass it own when I finished. Hi Deborah, welcome to Catching Days. Sorry I didn’t see this email before I packaged it for Jodi! Thanks for taking the time to leave a comment. And good luck with your own writing. I wouldn’t mind having an artifact with your marginalia. It will be a valuable artifact some day. : ) Actually, if you send it to Vermont, I’ll make sure I pass it around to Robin, too, who is not buying anything new for a year. Ha! The book will be headed your way on Monday. Yes, an artifact, I agree! Should have left a comment earlier. Though I’m paring down like Robin, it’s better this way. Love the photos, as always. We need to chat about cameras one day. I can tell you easily that the photo of the book I took with the digital camera I bought in 2008 to take photos for this blog (a tiny Sony Cyber-Shot), and the one of the ocean, I took with my iPhone 4. Thanks Jodi and Cynthia, for the post and, eventually, the book! I love reading about the ocean during the winter months…my virtual get-away. Thanks, Robin. The book is headed north!